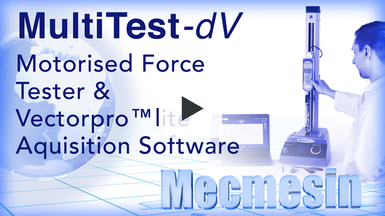 The MultiTest-dV range comprises three outstanding value, superior entry-level force testers. Designed for precision-controlled compression and tension testing, the dV’s simple controls, backed by sophisticated electronics, make it the ideal choice for a wide range of routine testing. 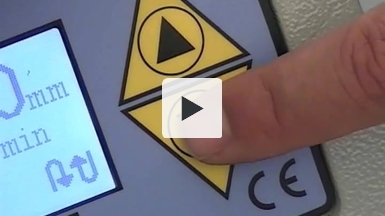 This video shows a shear test on an aluminium cap, part of medical device. 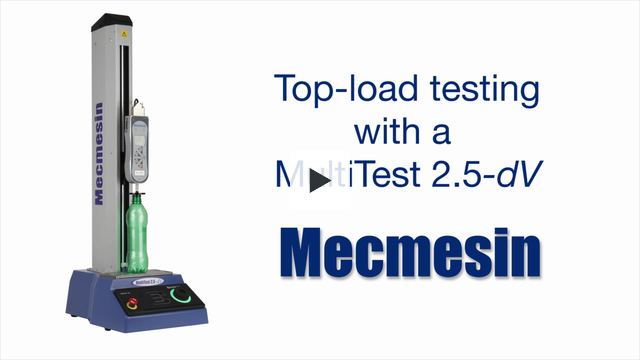 The test is conducted on a MultiTest motorised test system with an Advanced Force Gauge (AFG), a chisel point accessory, to break-off the cap, and special fixturing to securely hold the sample in place. It is vital that the sample should always break at the same point, so a special cantilever-operated sample holder was custom designed. This enables each cap to be loaded and precisely positioned using the same amount of pressure each time, which minimises variability.